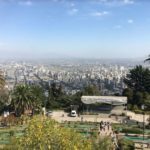 What is Santiago like for digital nomads? Well, I found myself in the Chilean capital as it was the cheapest route from Lima to Buenos Aires. The city doesn't get mentioned much as a hot location for remote working, and there are a few key reasons for this; it's relatively expensive, there is a lack of Instagram-worthy attractions and in many ways it is a typical, big, westernized city. But it does have some saving graces - the weather being chief among them. 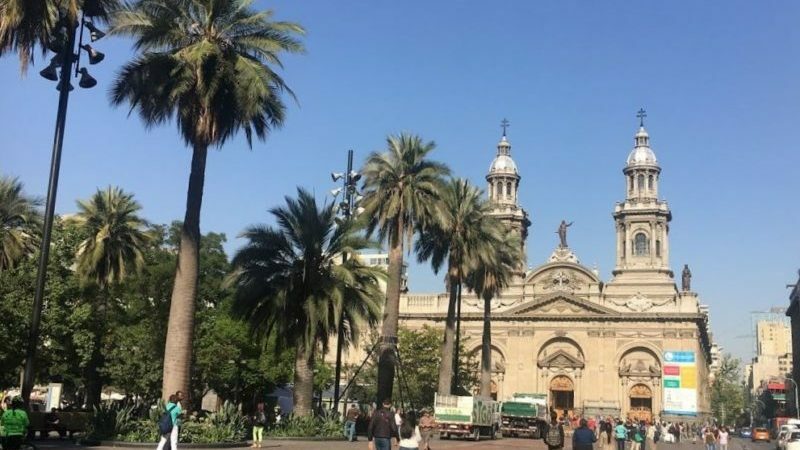 If you find yourself in the same stopover limbo I did, read on to find how to make the most of your time in Santiago. I'll try and keep this post short and to the point - much like my time in Santiago. 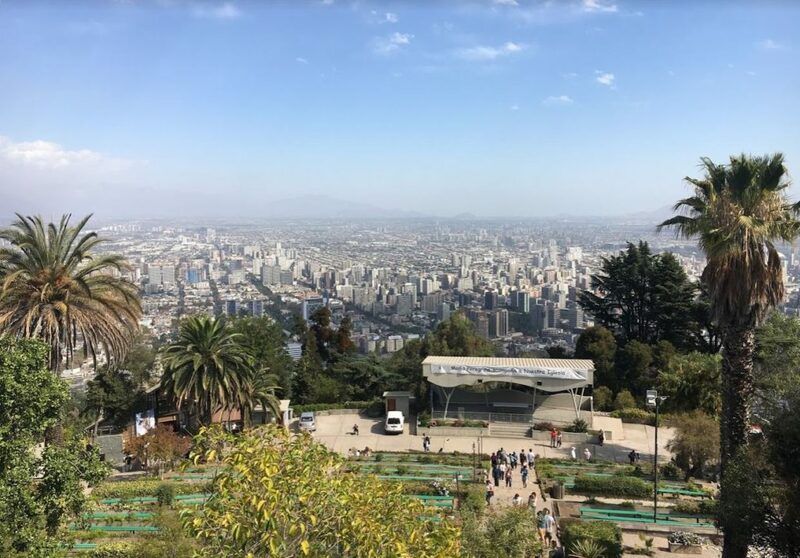 Simply put, Providencia is where a lot of the co-working spaces are, Las Condes is the downtown, high-rise area (read: super expensive) and Barrio Bellavista is the neighborhood most known for restaurants and bars at the foot of Cerro San Cristobal. I stayed in Bellavista but my accommodation was well below par, and there was little opportunity to meet other travelers to make the most of the lively neighborhood. 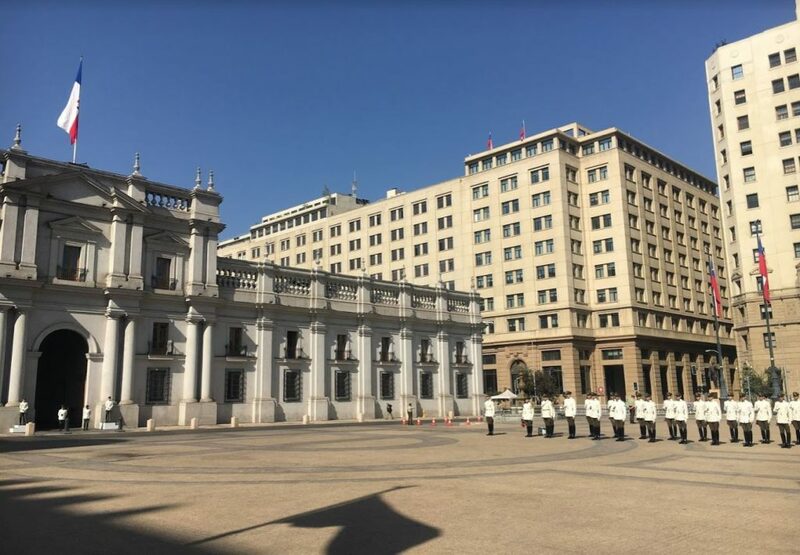 I've no doubt if I had stayed somewhere else I could have a completely different opinion on Santiago, but it wasn't to be. I found a space in Barrio Italia, which is a beautiful little neighborhood. The coworking space, Espacio BA, was adequate though there was no dedicated meeting room for calls, it was cash-only and relatively expensive. The other coworkers were friendly on the one night we socialized, but other than that there wasn't much of an atmosphere. Having a little conversational espanol would have helped I feel. With a few hours to kill before I could check-in, I decided to do the classic tourist activity - a Hop-On / Hop-Off bus tour. Picking me up in Barrio Bellavista the next area was the historic center of the city with sites such as Plaza de Armas and Constitution Plaza. 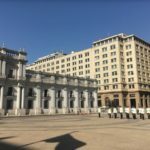 After walking around there for a while and finding a decent lunch (eventually), I hopped back on the bus as it headed east through Providencia and into the centra business district of Las Condes. Bar the tallest building in the Latin America there wasn't a whole lot of note on this section, though it seemed to go on forever. The last section was Cerro San Cristobal. Access to the cable car system comes as part of the bus ticket and lets you skip the queue. This was the highlight of the tour - giving some spectacular views of the city on the ascent and from the top where the famous statue of the Virgin Mary is located. On the other side of the hill I took the funicular down back into Barrio Bellavista, just a few blocks from my accommodation. 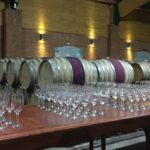 On Sunday I booked a wine tour of Casablanca Valley. This was a lot of fun - the weather was good, the wine was fantastic and the tour guide and other travellers made for a very sociable atmosphere throughout the day. However it costs $100+ all things included - so probably not a good option if you're on a tight budget. 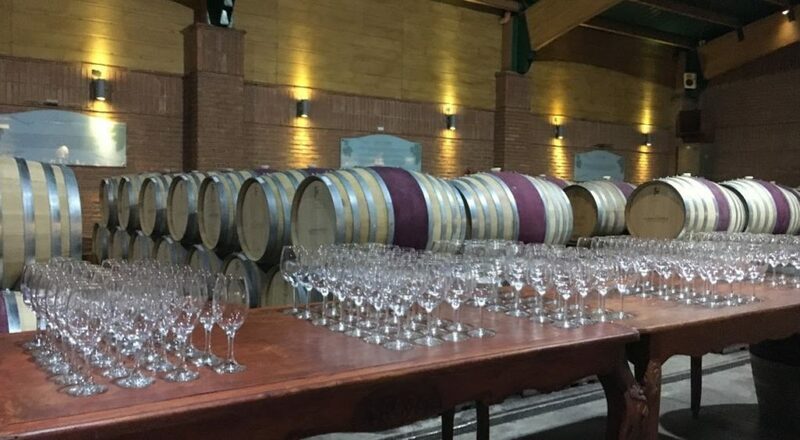 Unfortunately, I didn't have time to travel to Valparaiso or Vina Del Mar - both of which were highly recommended. Finally the museum at La Chascona, a former house of Pablo Neruda in Barrio Bellavista, also has great reviews but I didn't get to see it for myself. At least if I ever do go back to Chile I'll have a little more to discover. Eating and drinking represented my highlights from Santiago. I've already talked about the wine tour to Casablanca Valley which was awesome, but there were some cool finds in the city too. Patio Bellavista is a plaza full of bars and restaurants some of which are fantastic, even if the area is admittedly very tourist focused (read: expensive). Special shout out to Barrica 94! Near Espacio Ba I found a pretty little restaurant called Adelle Emporio. The food was good and they served a 3 course meal for $6-7. I found it on Tuesday and went for lunch every till the end of the week. Muy bueno! If nothing else this experience has taught me about diligence when booking accommodation. I think this alone may have limited my enjoyment of my time here. My Spanish is improving slowly and by necessity, though I would like to do formal classes to give it a boost. 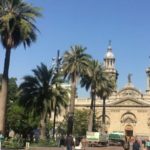 Overall - I can't honestly recommend Santiago for digital nomads, but I have a hunch that the best of Chile resides outside of it's main city. On a positive note, the downtime gave me an opportunity to catch up on some projects - including writing this blog.